1. Cyclo Overhead Conveyor Drive has solid shaft output, hollow shaft output and contract disk hollow shaft output,which can be installed horizontally , vertically. 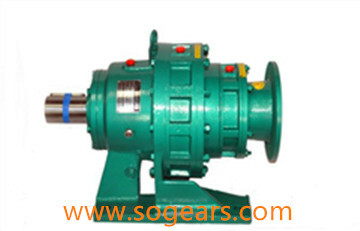 cycloid pin wheel gear reducer is made of high strength quality alloy steel through quenching and possesses high efficiency and long life gear .Othermore, Cyclo Overhead Conveyor Drive can bear large axial and radial load.Features is low in run noise, high in reliability, compact and so on. 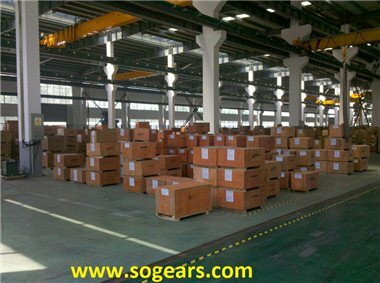 2.The housing of one size cycloid pin wheel gear reducer can realize parallel shaft,right-angle shaft modes and horizontal,vertical mounting modes.Variety of components is reducible, the number of reducer's mode is augmentable. 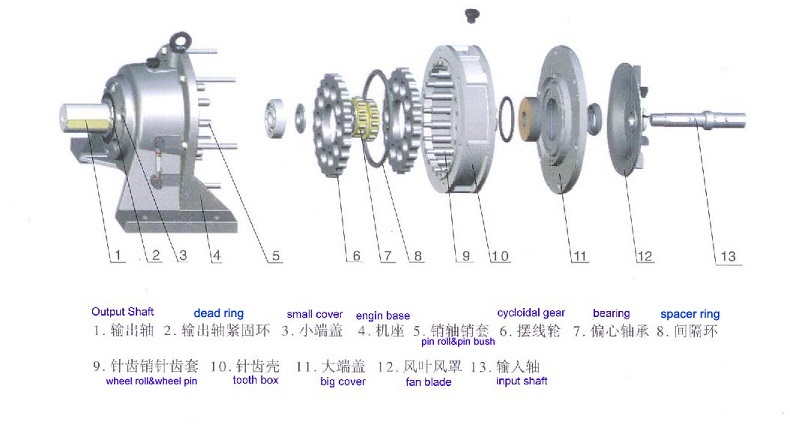 3.Sound-absorbable structure, lager surface, big fan reduce temperature and noise, advanced grinding process of cylindrical gear and bevel gear improve stability and transmit power more efficeintly for Cyclo Overhead Conveyor Drive. 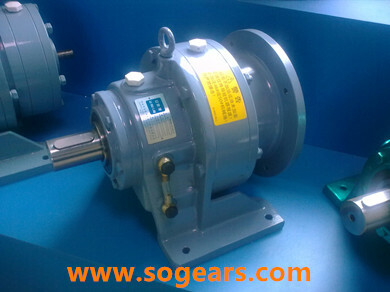 4. cycloid pin wheel gear reducerinput mode : motor connected flange ,shaft input. Cyclo Overhead Conveyor Drive output mode: solid shaft with flat key, hollow shaft with flat key, hollow shaft with shrink hollow or solid shaft with involute splines , solid shaft with flange. 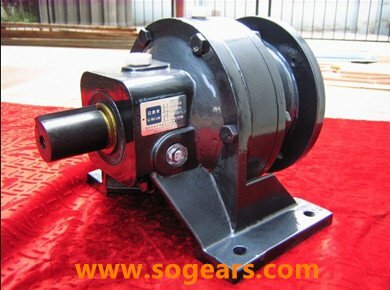 5. cycloid pin wheel gear reducermounting mode: Foot-mounted, flange-mounted, swing base-mounted, torque-arm-mounted.